The World Health Organization estimates that more than 40% of pregnant women worldwide are anemic. At least half of these cases are because of an iron deficiency. During pregnancy, a woman needs additional iron and folic acid to meet her own nutritional needs as well as those of the developing fetus. Deficiencies can negatively impact both the mother’s health and that of the unborn baby. Folic acid supplementation is hence imperative. Dreaming of Baby speaks with Dr. Salli Tazuke from CCRM San Francisco on the effects of folic acid deficiency on a mom-to-be’s health and well-being. Daniela: Good afternoon Dr. Tazuke and welcome to Dreaming of Baby. As part of our segment on folic acid, we look forward to discussing with you the effects of folic acid on both fertility and pregnancy. Before we start with our discussion, grateful if you could introduce yourself to our readers? Dr. Salli Tazuke: Sure. My name is Salli Tazuke and I am a board-certified reproductive endocrinology and infertility specialist working at CCRM San Francisco. Daniela: Thank you, Dr. Tazuke. As a first question, and to better acquaint ourselves with the subject, what is folic acid and what is it generally used for? Dr. Salli Tazuke: Folic acid is a man-made form of a naturally occurring B vitamin called folate. Folate plays an important role in our body for making red blood cells. In pregnancy, folate is important in the formation of neural tube, the earliest structure preceding the development of the brain and spinal cord. Dr. Salli Tazuke: The neural tube starts to develop very early, even before when a woman may realize that she is pregnant. If there is insufficient folate, then, abnormal neural tube formation may lead to congenital anomalies like spina bifida. It is important that woman take enough folic acid or folate prior to becoming pregnant to reduce the risk of a baby affected by such abnormalities. Daniela: On this note, should all women be taking folic acid supplementation, regardless of their pregnancy plans? Dr. Salli Tazuke: Yes, actually, the Center for Disease Control (CDC) recommends that women take vitamins with folic acid, minimum 400 to 800 micrograms a day. Does folic acid affect fertility? Daniela: In terms of the relationship between folate and fertility, how does an insufficient level of folate impact women’s fertility? Dr. Salli Tazuke: There are no specific studies showing the effect of low folate on fertility. In general, overall nutrition, health status and vitamin levels such as vitamin D is important for a healthy pregnancy and possibly on the quality of the egg. Until a few years ago, a mutation in an enzyme involved in folic acid metabolism was thought to be associated with recurrent pregnancy loss, and which was thought to be improved by taking high doses of B vitamin complex. More recent studies have refuted this association of recurrent pregnancy loss and being a carrier of mutation in the folic acid pathway and hence, there are now only recommendations about folic acid supplementation to improve pregnancy outcomes and not on infertility. What are the effects of folic acid deficiency on a mother-to-be’s health? 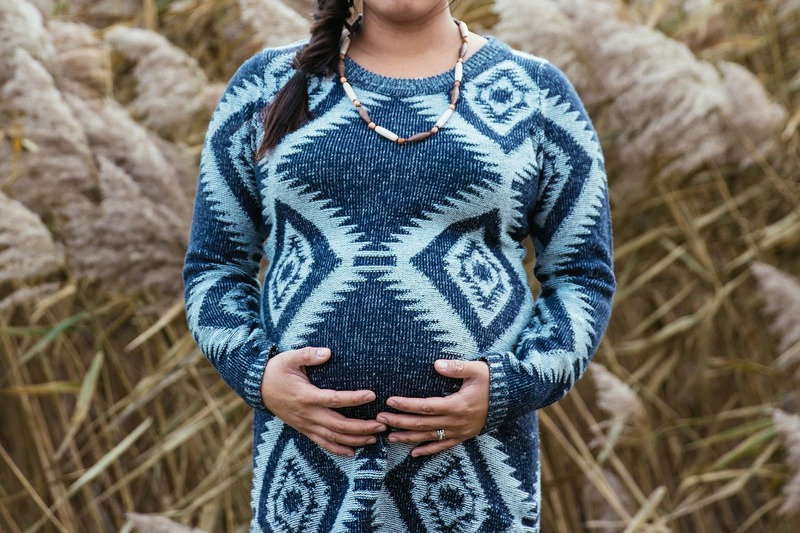 Daniela: Thank you for this very informative answer; focusing on the health of the mother-to-be, would there be any effects on her health and overall well-being if she did not take folic acid prior to conception? Dr. Salli Tazuke: As mentioned, folate is important in the production of red blood cells. Folate deficiency can cause the size of red blood cells to be small, more fragile and can lead to anemia. It is important to take folic acid in combination with B6, B12 as well because taking extra folic acid alone can affect the metabolism and levels of other B vitamins. The multivitamins have enough of these B vitamins and would be a great way to stay healthy. Daniela: If I understand well then, taking too much folic acid would have negative effects? What would be the recommended dose during pregnancy and would this be the same as when trying to conceive? Dr. Salli Tazuke: Yes, the amount is the same 400 to 800 microgram (ucg) a day of folic acid. Daniela: If I can backtrack a little, and focus on anemia; what does anemia during pregnancy mean for the mom-to-be? Dr. Salli Tazuke: Anemia is when you have less red blood cells. The red blood cells contain Hemoglobin which carries oxygen in your circulation. If you have anemia, you have less ability to carry oxygen to the pregnancy and this can affect fetal growth, and may cause the fetus to become stressed without enough oxygen. In general, the fetus is very good at taking enough nutrition from the mother, at the expense of the mother. If you start out anemic before pregnancy, it is much harder on the mother as anemia will make you feel tired. 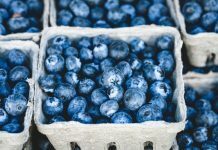 Daniela: In connection with this, how can a mother-to-be with anemia best prepare for her pregnancy? Dr. Salli Tazuke: First is to work with a physician to diagnose why she is anemic. Women are often anemic because of the regular menstrual period. Some women have very heavy periods and over time, the body cannot keep up the demand because of loss in iron storage. A simple blood test called complete blood count can help determine what the next step is. There can also be genetic propensity for anemia. In the Mediterranean and Southeast Asian population, thalassemia is more common. Thalassemia is a condition if you are a carrier of genetic abnormality in one of the hemoglobins, alpha hemoglobin. There are other abnormalities in hemoglobin (hemoglobinopathies) that can predispose a woman to be anemic. More importantly, if such genetic propensity is in both the mother and the father of the pregnancy, there may be more severe anemia or risk to the pregnancy. Anyone thinking of getting pregnant benefits from a good preconception health assessment thru their primary care physician or Ob/Gyn before getting pregnant. 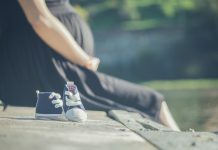 Daniela: Thank you, if a woman did not have this blood test done prior to her pregnancy, is this test routinely done once pregnancy does occur? What would be the symptoms to look out for? Dr. Salli Tazuke: Yes, this is a routine test included with many other blood tests at the first Ob/Gyn visit. Symptoms of anemia is primarily feeling fatigue, weak. May also look pale in severe cases. Daniela: In the case of a woman whose body does not absorb folic acid and who wishes to conceive, what is done in such a case? Dr. Salli Tazuke: Folic acid level can be measured in the blood but this is not routinely done. It is a water-soluble vitamin and hence is thought to be easily absorbed. You can have diseases such as inflammatory bowel disease, celiac disease that may affect absorption and can be made up for by extra supplements. This should be done with careful guidance by a gastrointestinal specialist and nutritionist as it is also about absorption of nutrition in general. Dr. Salli Tazuke: Folate is also generally abundant in green leafy vegetables. 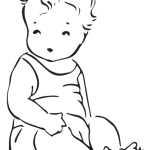 Dr. Salli Tazuke: I also need to add that women with certain underlying health conditions like diabetes, seizures on medications, and anyone who has given birth previously to a child with neural tube defect, would be advised to take higher dose of folic acid supplementation as the risk of having another pregnancy affected by neural tube defect increases. Daniela: Your last point is very interesting – is there any reason in particular why the risk of having another pregnancy affected by neural tube defect increases? Dr. Salli Tazuke: It can be genetic propensity to have a child with neural tube defect. Certain medications like anti-seizure medications can increase the risk as well. Again, this points to the most important message is to have women get a good general health exam and preconception evaluation when starting to try to get pregnant. Daniela: Thank you for the insight you have shared with us Dr. Tazuke. As a final question, is there anything else you’d like to add and which you’d think is imperative that our readers know with regards to folic acid and pregnancy? 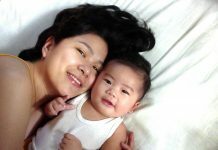 Dr. Salli Tazuke: Healthy Mom, Healthy Baby! And Dreams are Conceivable! Daniela: Thank you, Dr. Tazuke.